Holy Basil Essential Oil (Ocimum sanctum) is Therapeutic Quality. Also known as Tulsi Essential Oil or Basil Essential Oil, Holy – the spicy, herbal aroma of this legendary oil from India is amazing. 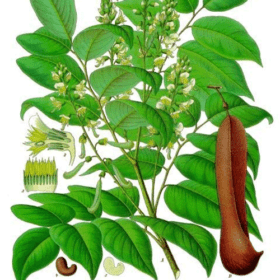 Ocimum sanctum India Conventional Steam Distillation Flowers and Leaves Middle or Top Eugenol, 1,8-Cineole, Estragole, B-Bisabolene, (Z)-a-Bisabolene Citrus oils and florals; bergamot, clary sage, geranium, hyssop, lime, and oak moss. 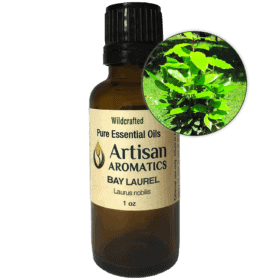 Holy Basil Essential Oil (Ocimum sanctum) is also known as Tulsi Essential Oil. The aroma is fresh and sweet with spicy notes and it blends well with Bergamot, Clary Sage, Lime and Geranium essential oils. We prefer to use Holy Basil Essential Oil for inhalation since recommended maximum dermal concentrations are low (see below). Although it has been described by some as having calming effects, too much Holy Basil can be over-stimulating and it is best used sparingly, infrequently, and as a component in a blend with other essential oils. Holy basil (Ocimum sanctum) is a member of the Lamiaceae family (the same plant family to which the mints belong)and is native to India. 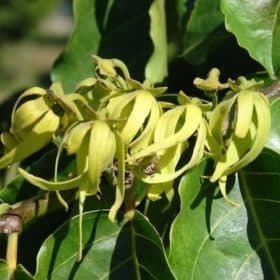 The strongly scented leaves can be green or purple, while the stems and flowers are purple. The green-leafed variety is known in India as Sri or Rama Tulsi, while the purple-leafed type is called Krishna Tulsi. 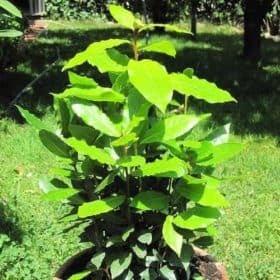 A third type of Tulsi is also used in India; it comes from the related plant Ocimum gratissimum, which is commonly referred to as Vana Tulsi. Vana Tulsi is considered by some to be the most sacred but all three plants have similar herbal properties. Tusli grows well here in the slightly acidic soil of our mountain garden and is a beautiful plant that attracts many happy bees. Unless otherwise noted, the discussion that follows pertains to herbal preparations of Holy Basil and not to the essential oil. 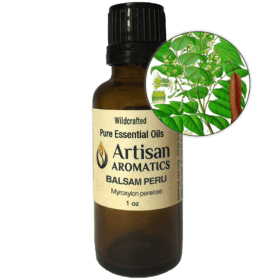 This information is provided for educational interest only and is not intended either as claims for the product “Holy Basil Essential Oil” or as guidelines for use of that product. 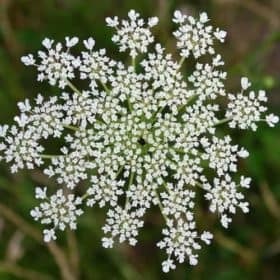 The fact that an herb has been used for specific purposes in traditional practices does not constitute “proof” of that herbs actions or safety. 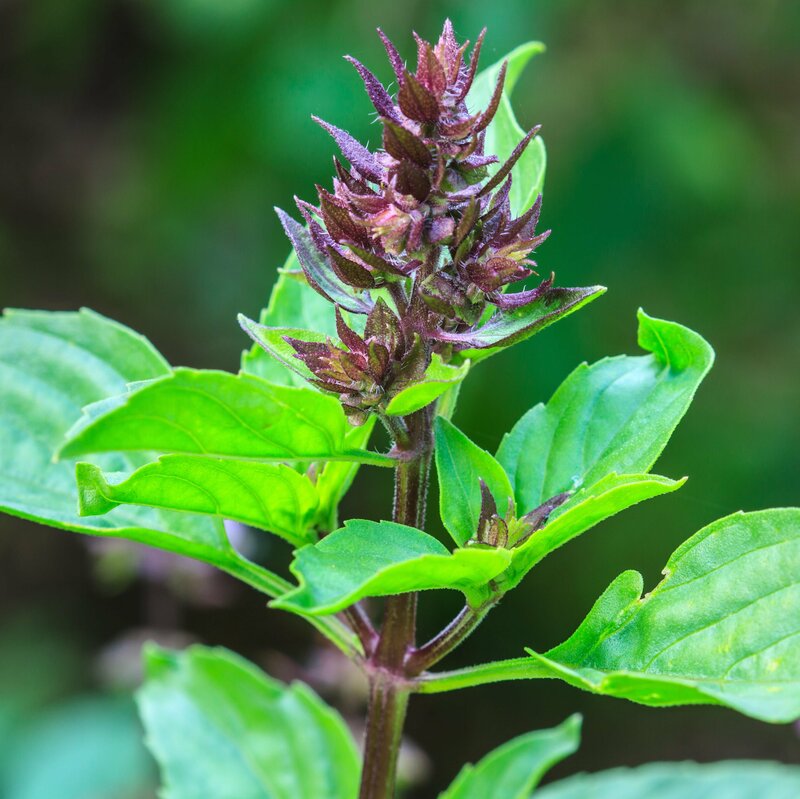 Holy Basil is highly revered in Ayurvedic Medicine as both a powerful healing agent and a sacred herb and it has long been grown and used for medicinal and spiritual purposes. Many people in India drink a warm cup of Holy Basil tea daily to experience its calming and soothing qualities. In fact, Holy Basil is considered in Ayurvedic medicine to be a panacea for almost every ailment. 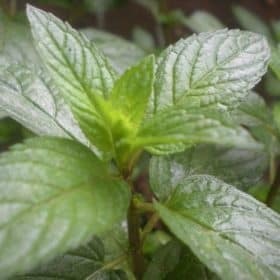 For an excellent discussion of the many uses of Holy Basil herb see Tulsi: The Mother Medicine of Nature by Dr. Narendra Singh and Dr. Yamuna Hoette. The essential oil of Holy Basil has been used in modern aromatherapy, although not as widely as some other essential oils, due to concerns about potential toxicity (see below). 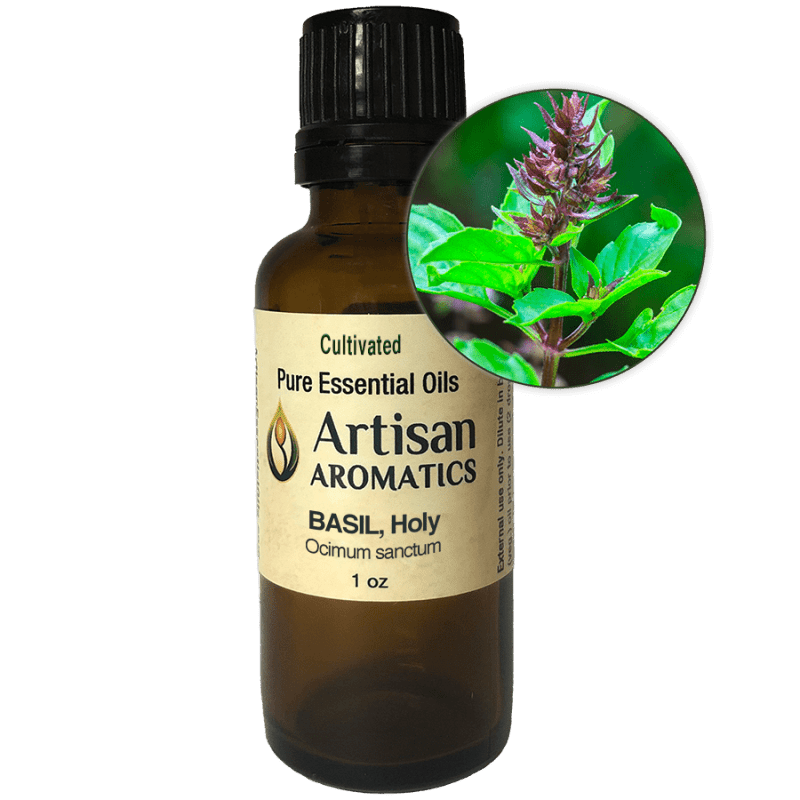 The uses of Holy Basil essential oils have generally been said by aromatherapists to be similar to those of Basil linalool (Ocimum basilicom CT Linalool). Safety Considerations: Follow General Safety Considerations as indicated below. In addition, be aware that Holy Basil may contain methyl eugenol (a potential carcinogen); it may inhibit blood clotting; it poses a moderate risk of skin sensitization and a low risk of mucous membrane irritation. Further, oral use (NOT recommended) may create interactions with drugs/medications and pose risks for those undergoing surgery or who have blood disorders or peptic ulcers. The European Union has recommended a maximum concentration for dermal use of 0.07%; IFRA recommends a dermal maximum concentration of 0.05% while Tisserand and Young’s recommended maximum concentration for dermal use is 1%. 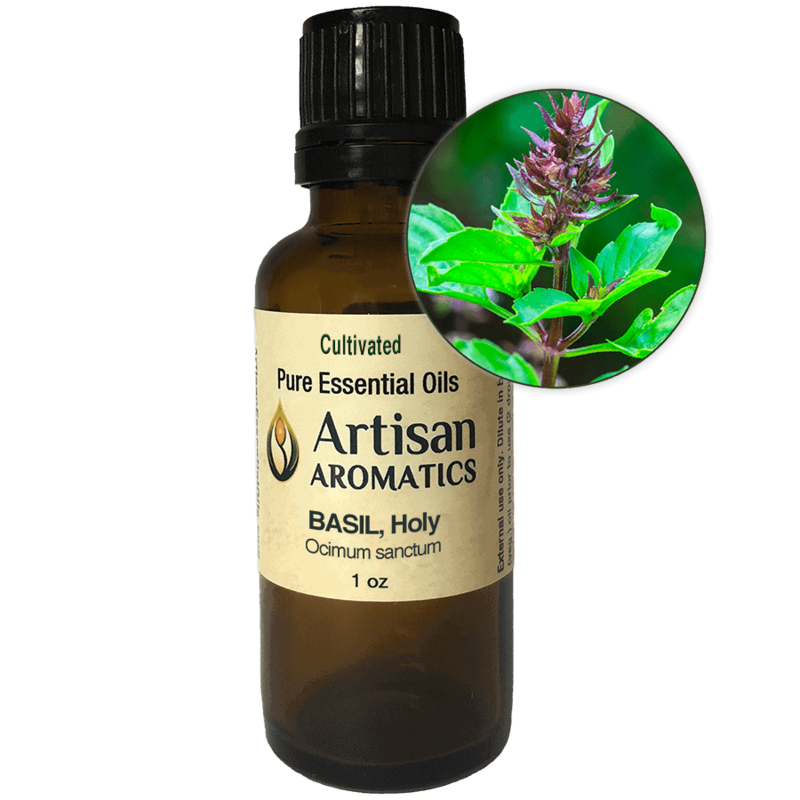 Because of contradictory recommendations regarding maximum concentrations for dermal use, we recommend using Holy Basil essential oil for inhalation only and even then in very small amounts, infrequently, as one minor component in a blend of other essential oils.